Revolution, a 17 time Champion has an award sheet as long as one's arm, winning championship after championship, year after year for FIVE years in a row. 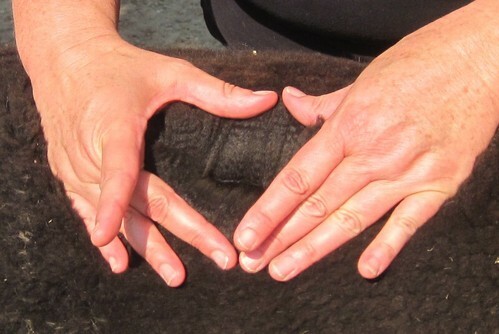 In fact, when he won his 17th championship (the Grey Male Color Champion at 2010 Level V North American) his daughter was in the ring next to him and won Grey Female Color Champion! 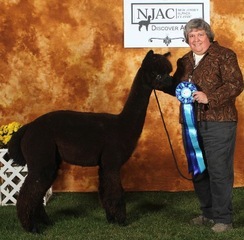 Vinny is a gorgeous black male with dense, fine fiber and great coverage. Son of the amazing silver grey A.L. 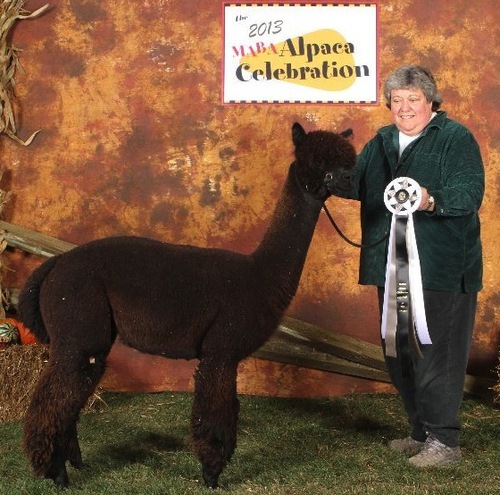 Paca's Revolution, a 17x champion who was still winning championships at five years of age, he is showing many of the fine characteristics of his sire. His mom is no slouch either, HRF Peruvian Mystique is a champion herself and full sister to 21X champ HRF Peruvian Challenger. 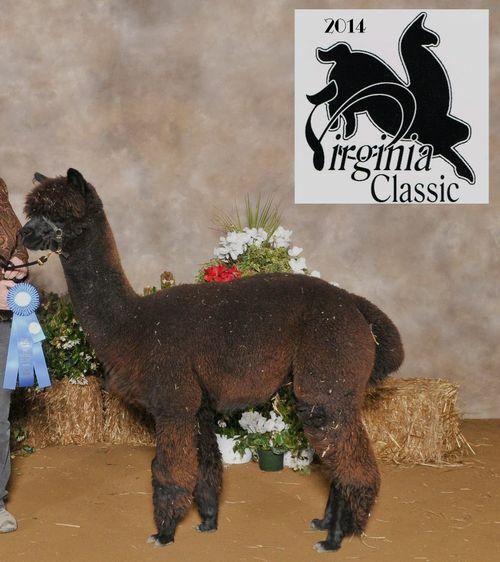 Although Vinnie did not show as a juvenile or yearling due to a fiber break caused by an incident of heat stress, he returned to the ring and earned the Blue Ribbon in the Over 2 Male black halter class at the 2013 NJ Classic, and another blue at the 2014 Virginia Classic. 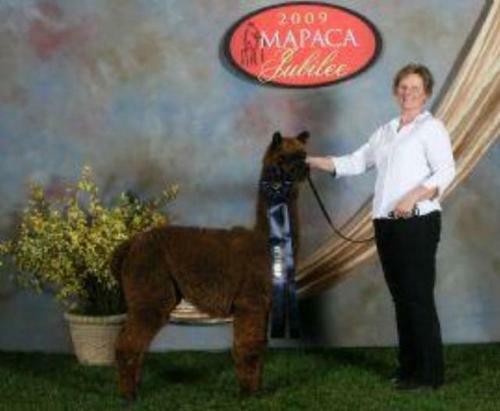 He has sired two crias who are stunning brown females. 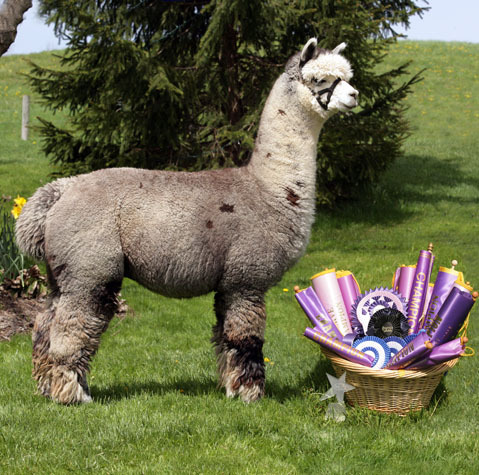 Although not flashy, Vinny is a handsome herdsire who people notice in the field.